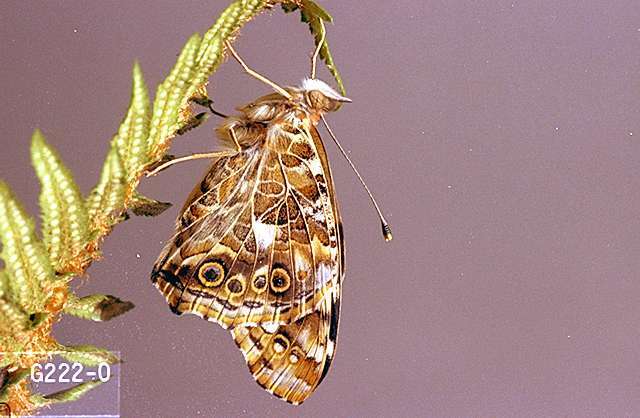 Pest description and crop damage Painted ladies are orange-brown butterflies with a wingspan of up to 2.87 inches. Wings have a black apex patch and white bar on the leading edge. Caterpillars are spiny, dull brown to black, with a pale yellow stripe on each side. They feed mostly on thistle. It is only an occasional pest of artichokes. Biology and life history Male butterflies perch and patrol during the afternoon for receptive females. They usually perch on shrubs on hilltops. Females lay eggs singly on the tops of host plant leaves. Caterpillars live in silk nests and eat leaves. Adults hibernate only in the South and in mild winters. There are one to three flights each year. esfenvalerate (Asana XL) at 0.03 to 0.05 lb ai/a. PHI 1 day. REI 12 hr. Retreatment interval 14 days. 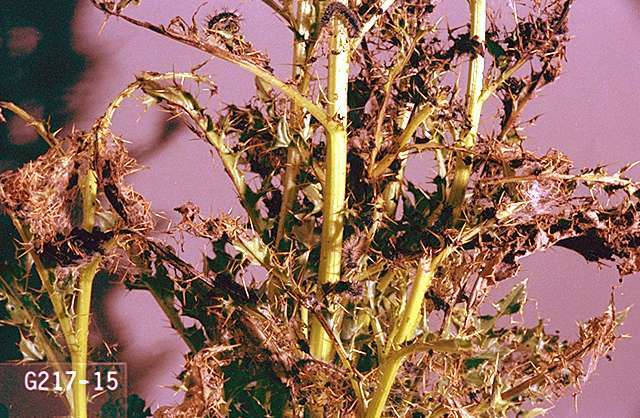 Do not exceed 0.15 lb ai/a between bud formation and harvest. zeta-cypermethrin (Mustang Maxx) at 0.025 lb ai/a. PHI 5 days. REI 12 hr. Retreatment interval 14 days. Do not exceed 0.1 lb ai/a per season.